Information, logos, graphics, sounds, images, trademarks and anything else published and / or reproduced on this site are the property of (or provided by third parties in use) Online Defense. Reproduction of the content of this site is permitted solely upon written permission of Online Defense. It is therefore forbidden to modify, copy, reproduce, distribute, transmit or distribute without permission the content of this site. In particular, it is forbidden to copy software programs that determine the operation of this site, create programs for such authors, trace and / or use the source code of those programs. Online Defense does not guarantee a constant up-to-date information on this site and may be held liable for any damage, including computer virus infections, that visitors equipment may suffer due to access and / or interconnection with this site or the download (download) of its content. The hyperlinks (links) on this site can target visitors to web pages on sites other than the present. In such case, Online Defense assumes no liability whatsoever with regard to the content of the content published on such sites and the use which third parties may use, as well as any damages caused by or resulting from access to such sites, interconnection with the same or downloading their content. Any personal information sent to the Defense Online site will be treated in accordance with the Privacy Act. Any non-personal information provided to Online Defense through this site (including suggestions, ideas, designs, designs, etc.) will give the latter and the Group companies the exclusive, unlimited and irrevocable right to use, reproduce, display , execute, modify, transmit, and distribute such non-personal information. The disclosure of this information will automatically result in the transfer of these, free of charge, exclusively and with any broader right and faculty, to Online Defense and to Group companies. This site applies the legislation in force in the territory of the Italian Republic. This information is provided in accordance with the art. 13 of the 2016 / 679 Regulation (GDPR), pursuant to art. 13 of the legislative decree n. 196 / 2003 (Code regarding the protection of personal data) to users who access the website www.difesaonline.it and relates to all personal data processed according to the methods indicated below. - list of collected data: name, email. The provision of data listed in the "Data Collected" section for the purposes referred to in points n. it is mandatory to allow the user to access the service. For this reason, consent is mandatory and any refusal to process or the failure, incorrect or partial conferment of data could result in the inability to provide the service properly. The provision of data for the purposes of sending newsletters for promotional, informational or research purposes is optional and the refusal to give consent to the treatment will result in the impossibility of being updated about commercial initiatives and / or promotional campaigns, to receive offers or other promotional material and / or to send personalized offers to the user. Difesa Online srl does not provide any third party information to users without their consent, unless required by law. 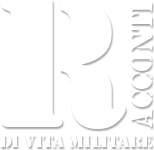 The interested party can withdraw his consent to receive promotional and commercial communications immediately, by sending a request to the email address redazione@difesaonline.it. The registration and the relative treatment are considered valid until the user unsubscribe, present in every email, or after 12 months from the last communication of which has evidence of direct interaction (click, opening, reply). the subjects and the categories of subjects to whom the data may be communicated or who can learn about them as appointed representative in the territory of the State, managers or agents. right of complaint to the Supervisory Authority. Difesa Online srl reserves the right to modify, supplement or periodically update this information in accordance with the applicable legislation or the measures adopted by the Guarantor for the Protection of Personal Data.